Are you looking for a quick recipe for dinner tonight that the kids will love? 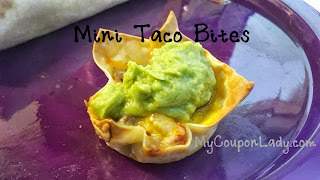 We love making these Mini Taco Bites that MyCouponLady posted! We skipped the guacamole, and added our own ingredients! So fun!